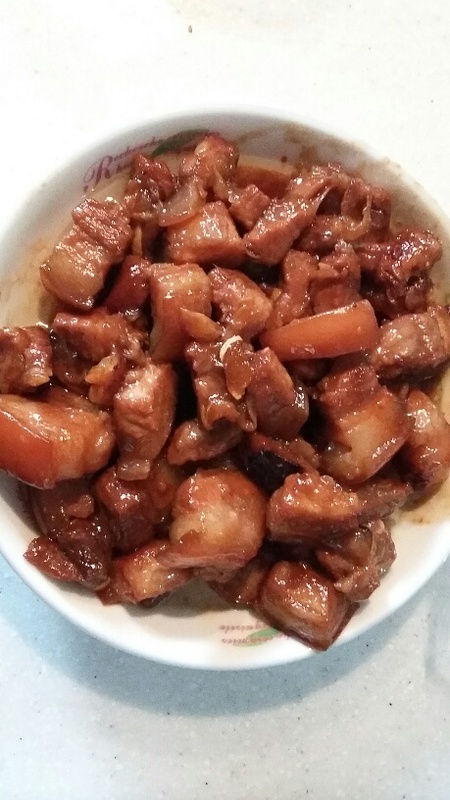 Red braised pork is a favorite all over China, especially in the south. 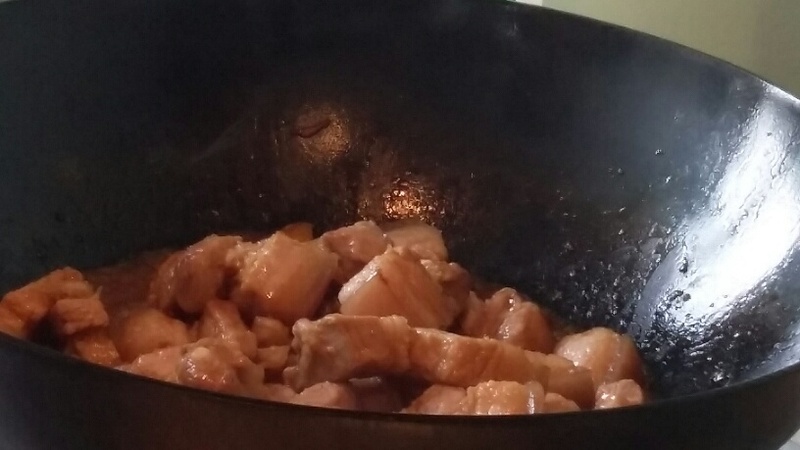 It’s one of the most recognizable Chinese dishes around and it’s also a family favorite. Plus, its very simple albeit time consuming. Onto the recipe!!! 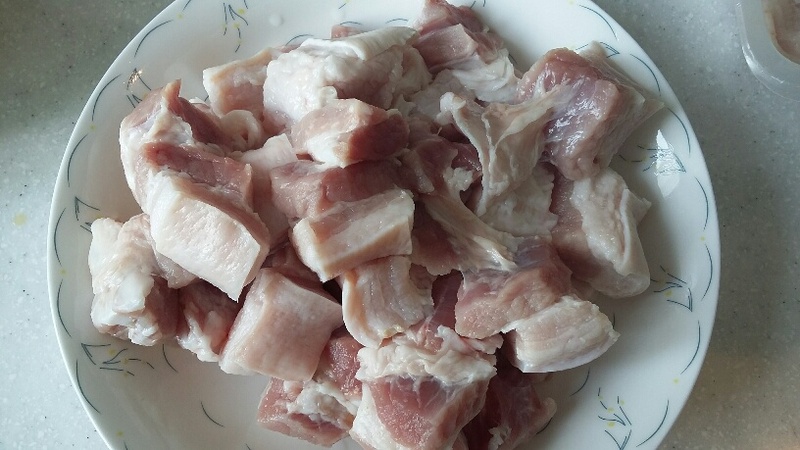 First wash out the blood from the pork and cut it into cubes. Add water, rock sugar, green onions, ginger and wait for the water to boil. When it boils, turn the fire down to low and cover. 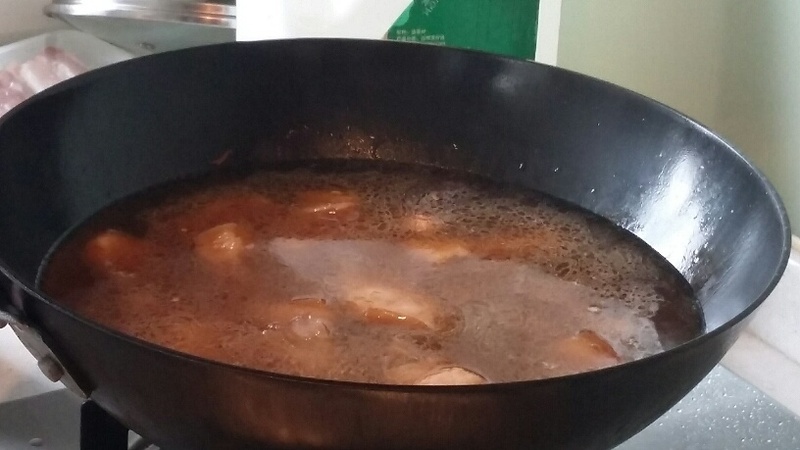 Cook for another 2-3 hours on low heat until the water is reduced to a thick sauce. Enjoy!!!!!! once the water is boiling transfer mixture into a pot or saucepan. Cover and cook on a low fire for an additional 2-3 hours. Note: Be sure to taste as you cook, it’s the only way to succeed. There is no “perfect” measurements.